My friend’s dad was turning 90 and she asked me to make a cake for him. 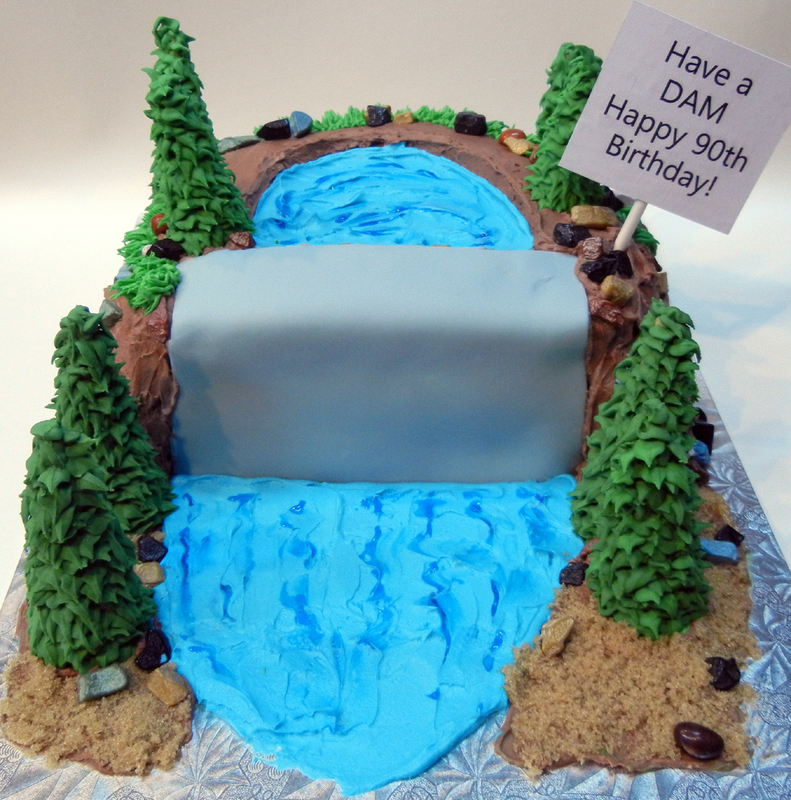 A dam cake. A what I said? Yup, a dam cake. Seems her dad was a dam builder from the 1950s onward and she wanted to give him a dam cake. I fretted over it but in the end, came up with this. When Michelle brought the cake to her dad’s residence for a small gathering, he pulled out his knife and demonstrated how the dam was built and how it held back the water. He loved it. Author ronna2012Posted on May 25, 2015 December 8, 2016 Categories birthdayTags damLeave a comment on That dam cake! 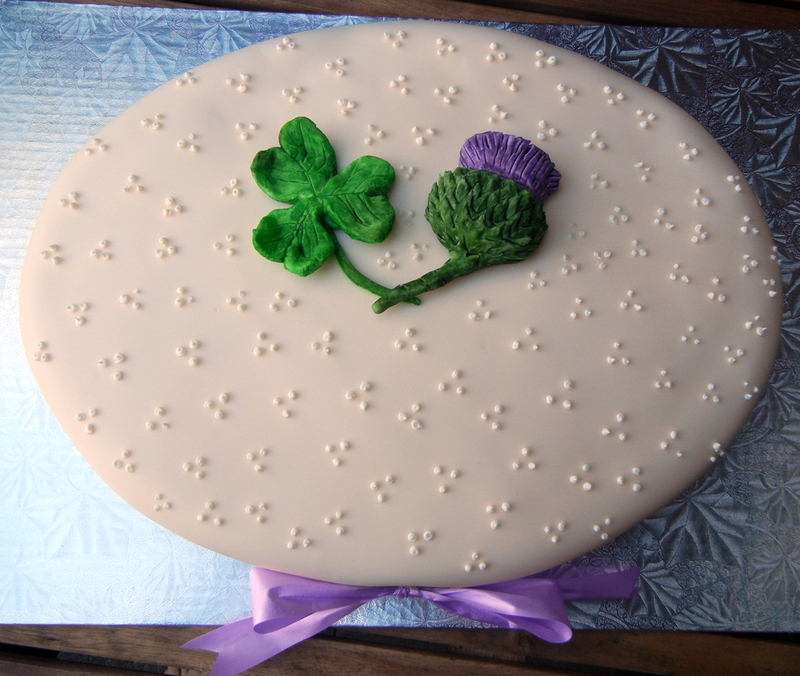 This vanilla cake fed 40 or so guests for a party to congratulate a couple — one Irish and one Scottish — who were celebrating their 50th wedding anniversary. We celebrated a friend’s birthday a while back with family in tow. Lionel loves Italy and has been there on vacation several times. He’s taking Italian classes at night and progressing well. And he loves Italian food. (Who doesn’t?) 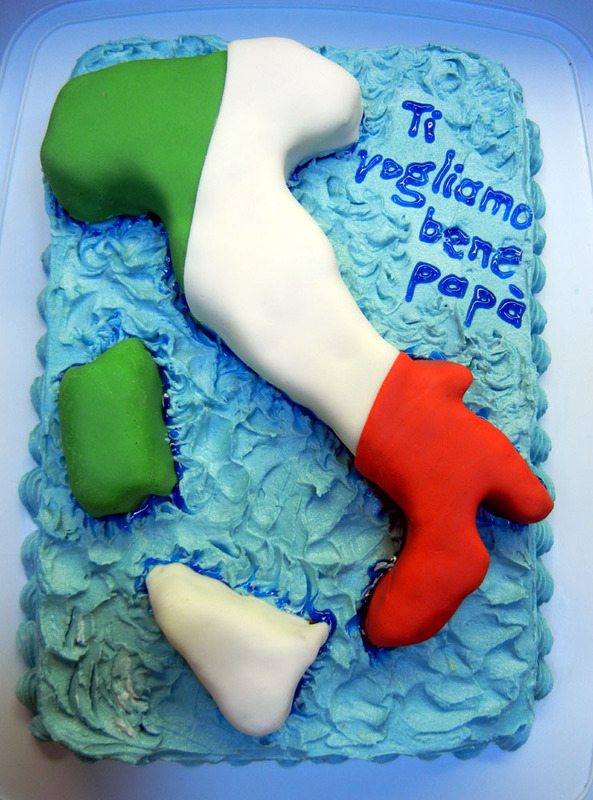 This Italy-shaped cake was vanilla, with the layers filled with Limoncello buttecream. Ciao! Ciao! Author ronna2012Posted on May 3, 2015 December 8, 2016 Categories birthdayTags Italia, ItalyLeave a comment on Viva Italia! 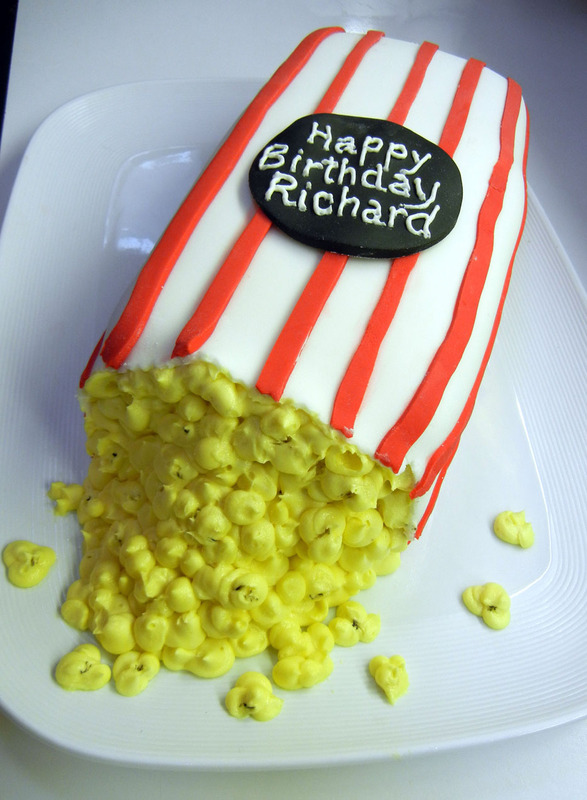 My boyfriend Richard — the birthday boy — loves popcorn. Sometimes, if he’s been working late, he’ll even have it as his supper! A cake made up of buttercream popcorn and a chocolate cake stripey bag seemed just the thing to celebrate his special day. My boyfriend loves his chainsaw, his brand of choice, Husqvarna. Every winter, he’s out and about, cutting down dead trees out back of the property to help heat the house. What better way to wish him a happy 55th birthday than with a chainsaw cake? To get it just right, I got his real chainsaw alongside the cake (I should have taken a pic!). It’s actual size. I used a barn board, covered with plastic to serve it on.